With the weather starting to change, and a bit of a nip in the air today, we decided to give an old favorite cocktail of ours a fall twist. We love a good Dark & Stormy on a summer’s day to cut through the heat. 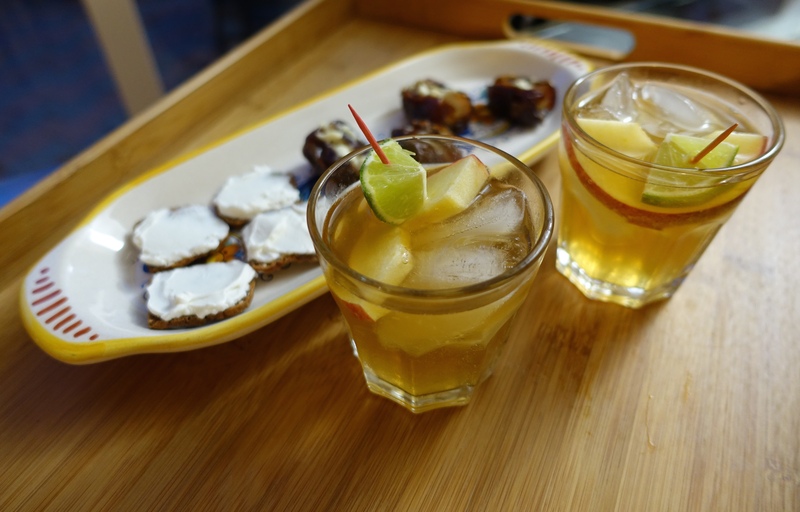 This drink is very similar to a Dark & Stormy with rum and ginger beer, but we added apple cider for an autumnal flavoring. 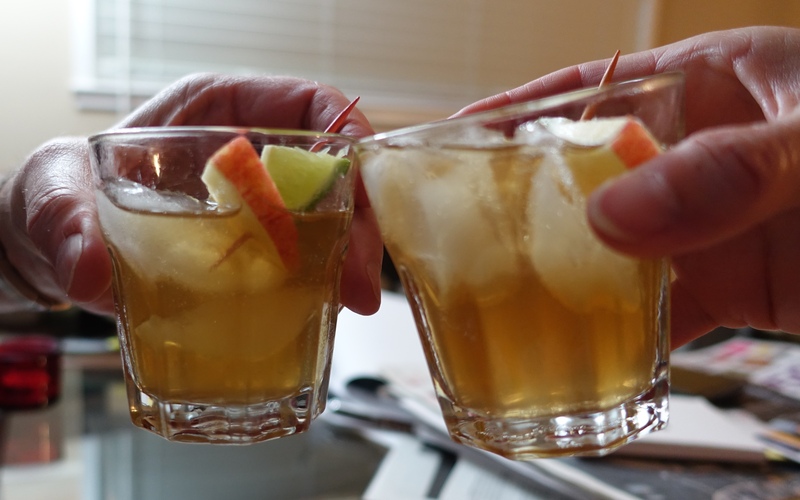 We used an Aged Rum, Ginger Beer, Apple Cider, and a squeeze of lime. 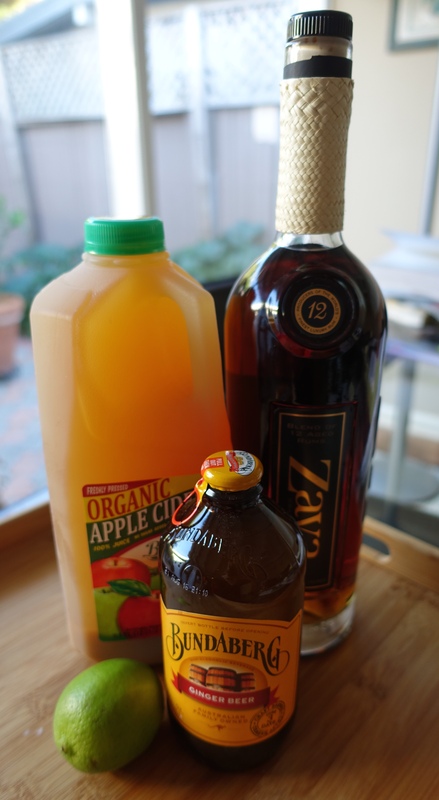 We then added 2oz of Apple Cider for fall flavoring. 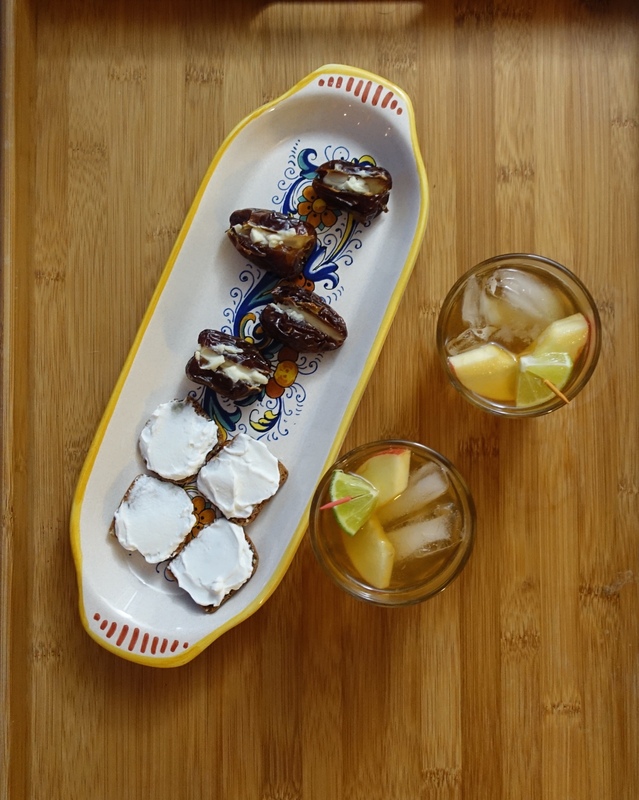 We topped the drinks off with with a slice of apple skewered with a wedge of lime. I also prepared a few small bites to go with our cocktails. 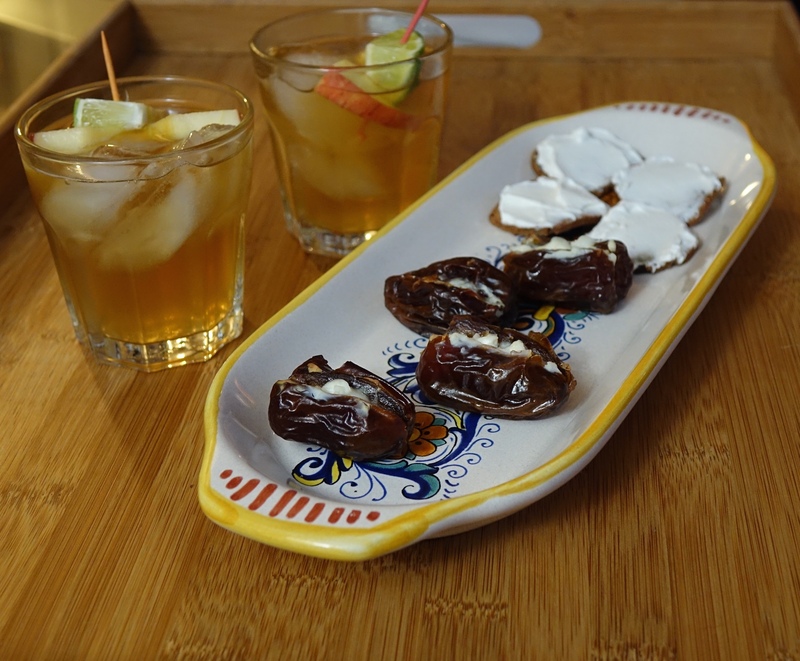 We had baked dates filled with goat cheese and olive crackers with cheese. Yum. Maybe we should call it a Dark Autumn Storm. It was tasty. Do you have a favorite fall cocktail? Be sure to share, so I can try it out as well.